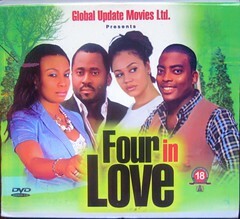 Nollywood Movies Review: James is feeling neglected by his wife Farida because she is always on call at work, which is always seemingly more important than him. She however is intent on keeping her job at any cost as she considers it is a great opportunity to work for her mentor Gloria. Gloria is a workaholic whose husband a movie director is also feeling neglected. Despite this feeling he is always loyal to his wife and does not consider cheating on her. There are rumours that he messes about with his actresses and his wife is paranoid that the rumours are true. Her jealousy and paranoia threaten to ruin the relationship.